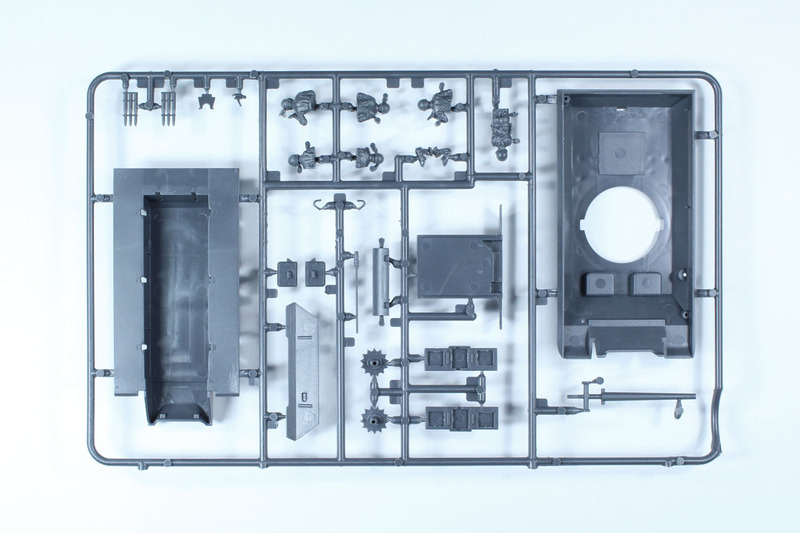 This is a 1:56 / 28mm scale kit manufactured by Italeri, so much closer to a model kit. 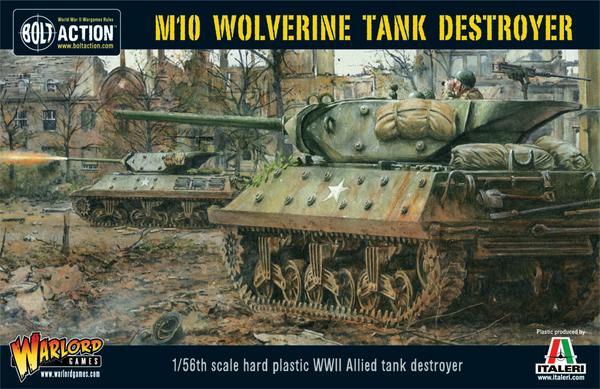 The M10 "Wolverine" Tank Destroyer, was used by the allied armies of the United States as well as Great Britain (and the Free French). Post war this tank was used among others by the dutch forces, belgium and denmark. 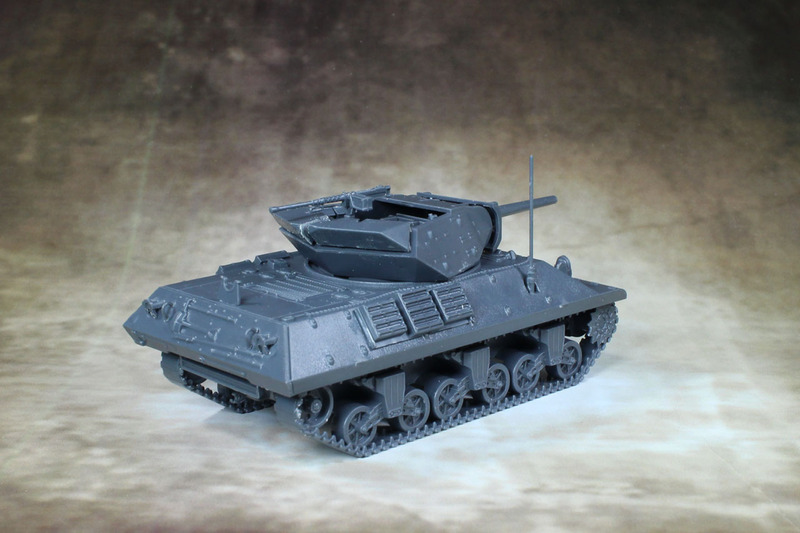 This kit covers no variants, just simply the M10, but includes an american tank crew as well as a british one. 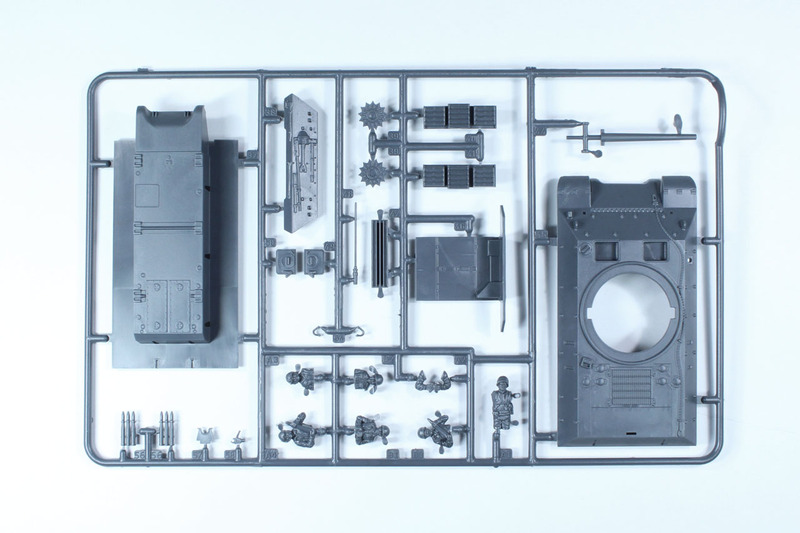 Warlord Games sets the price tag of this kit at 20 GBP. 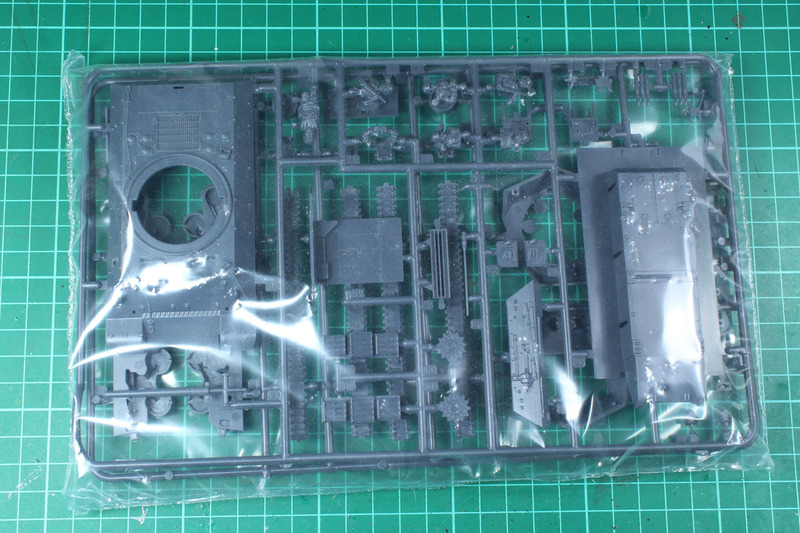 Inside the box you'll find two sealed sprues, a decal sheet as well as an instruction leaflet (the later two not pictured, as this was a left over from a platoon box). The cast is good, but this one had an unusual amount of flash. 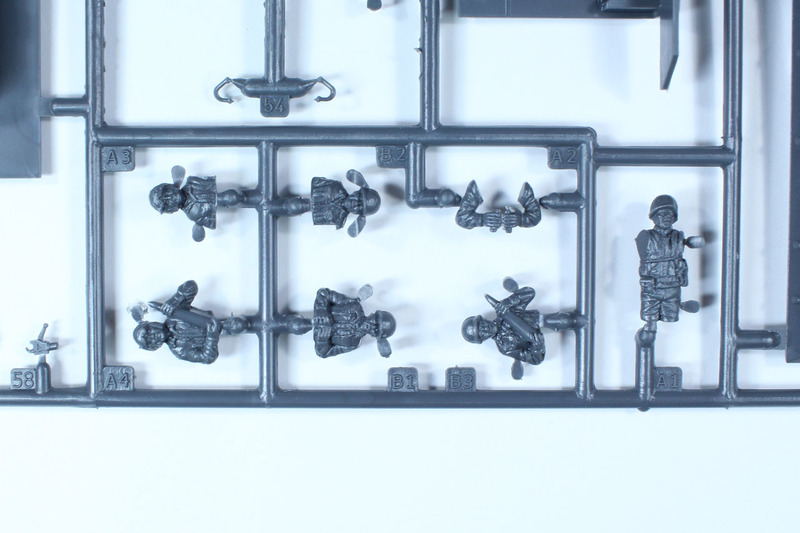 The sprue are made from a softer hard plastic and the crew is due to not being produced / designed directly by Warlord a slightly different style. 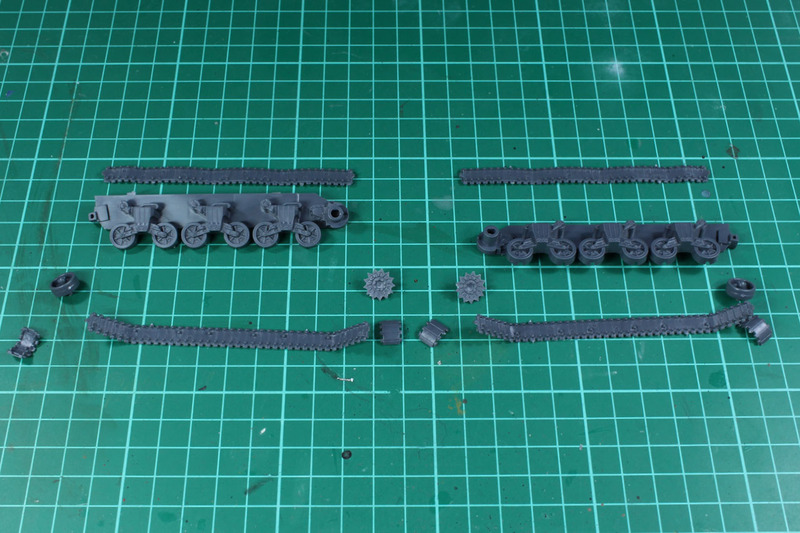 As usual with the tank builds, the process starts with the track sections. 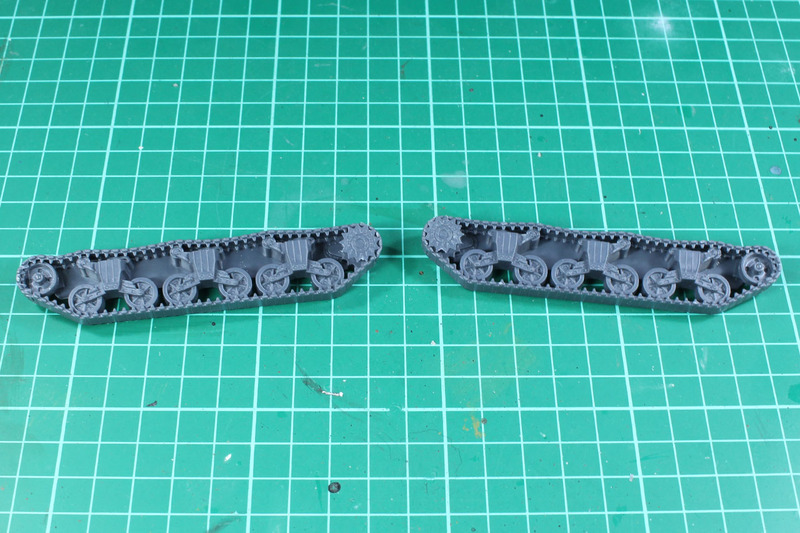 It was a bit confusing, that the tracks were flat, as these are usually more detailed with the Italeri / Warlord kits, but this is historically correct, as these are the flat rubber blocks and not the chevrons. 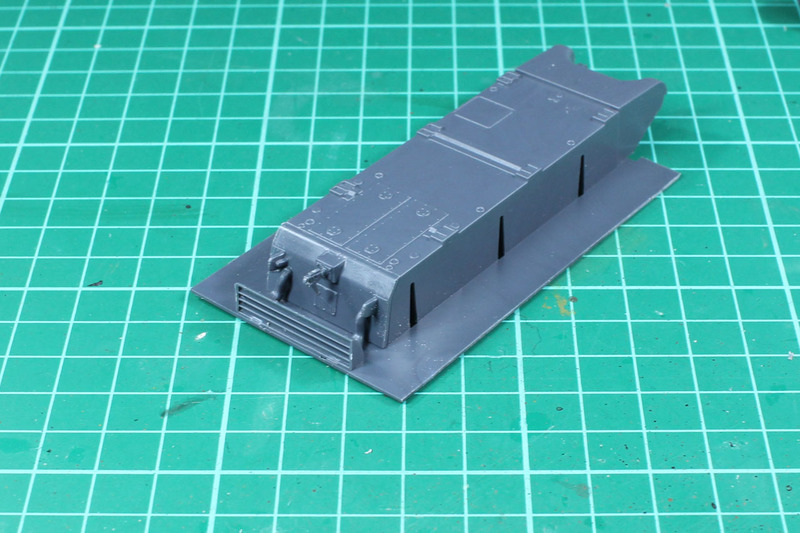 Next up was the lower chassis, the exhaust part to be precise. 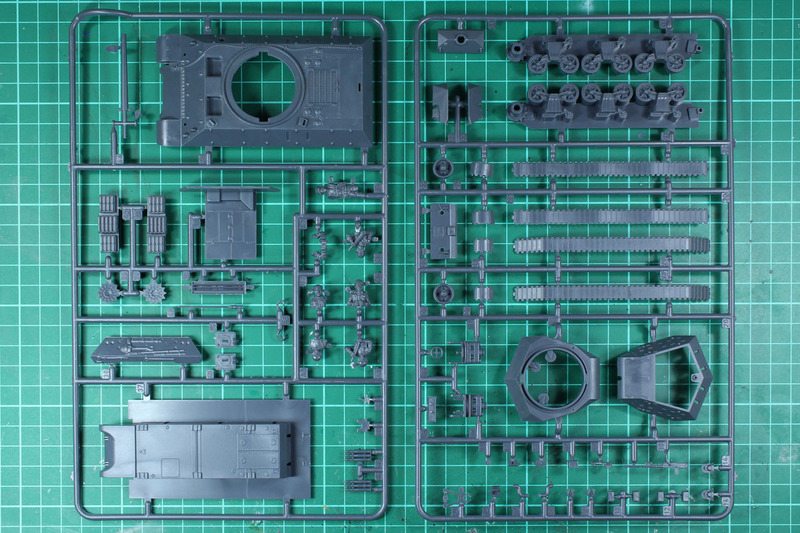 Unfortunately the instructions are not that clear about the smaller parts, but you'll get along by taking a look at the product images. 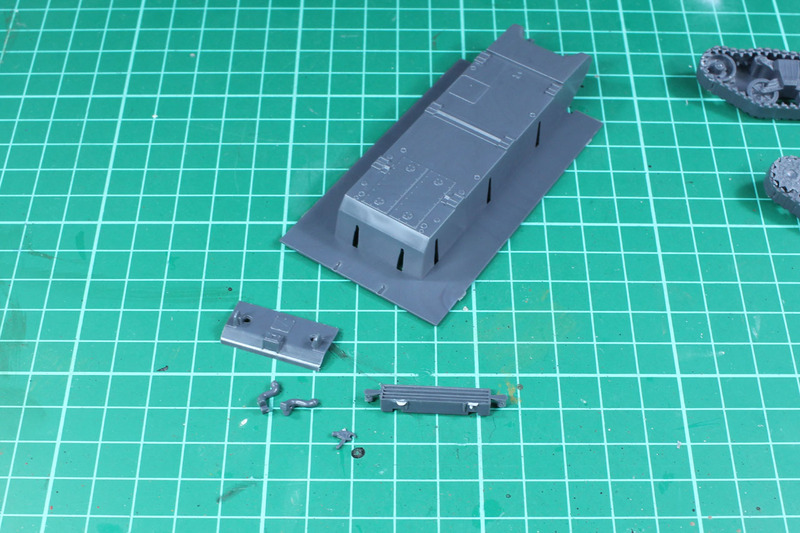 Adding the track sections to the lower hull, as well as the lead weights and the inner floor finishes the next step. 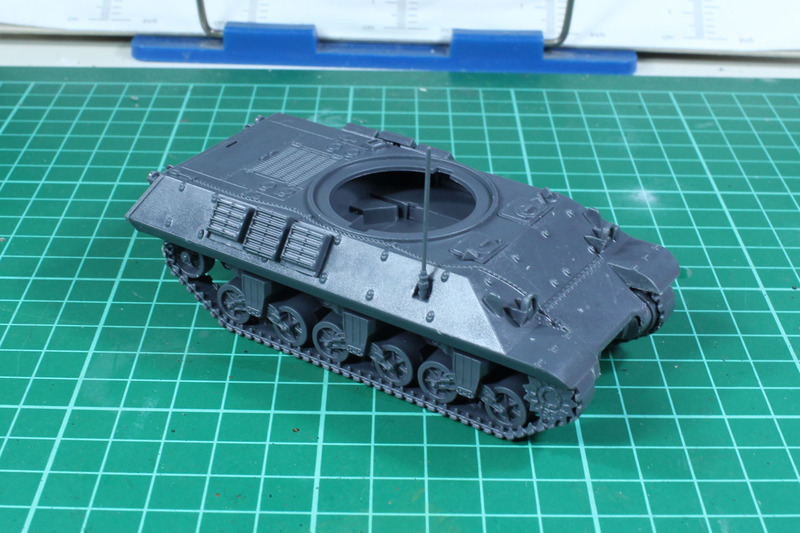 The upper hull with the distinctive angled armor is next. 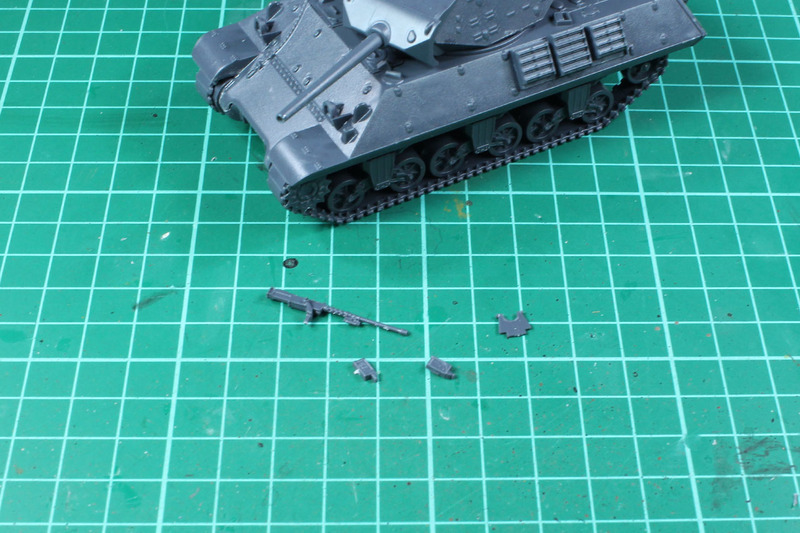 A lot of smaller bits and pieces are added, and that is some fiddly job. 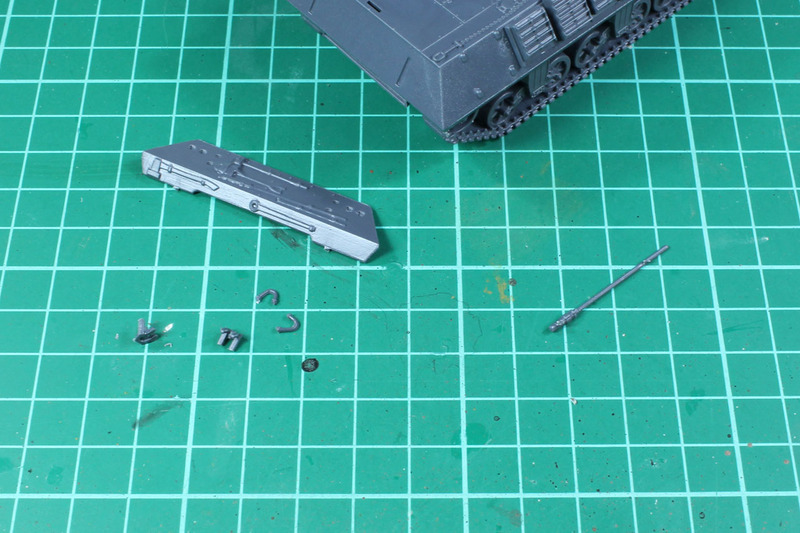 If you're more of a model kit builder, that might just be your thing, but from a wargamers perspective, that is rather annoying. 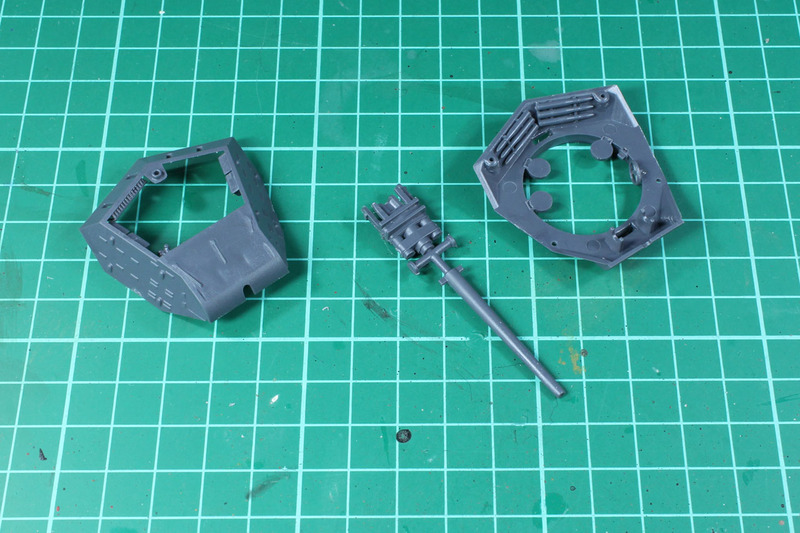 The instruction isn't absolutely clear on these steps and even mentions two pieces, that weren't part of the sprue. Never the less, the fit was proper and no warpage or bending. 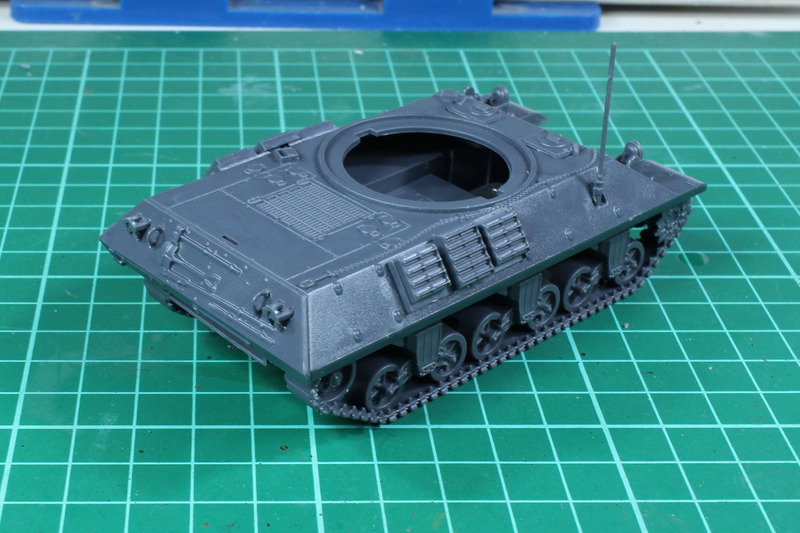 The last step is the turret. 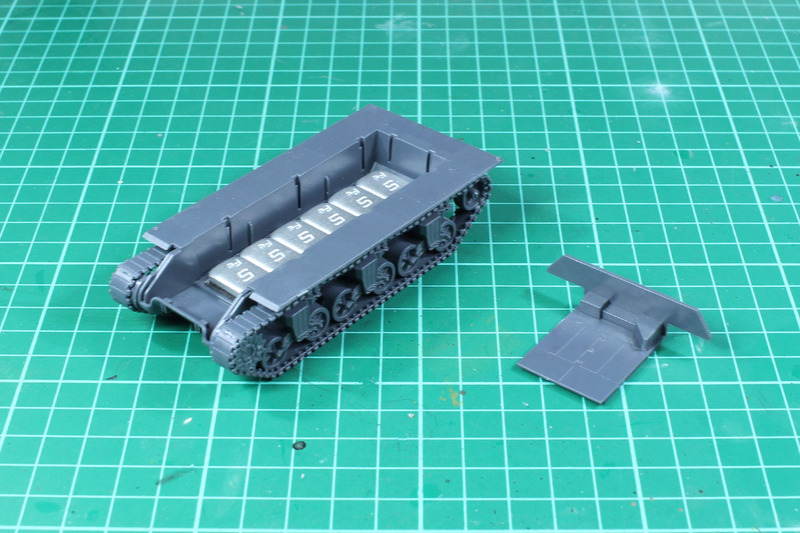 Unfortunately only one gun variant is uncluded, so no further parts for the 17pdr SP of the british Achilles variant of the M10. 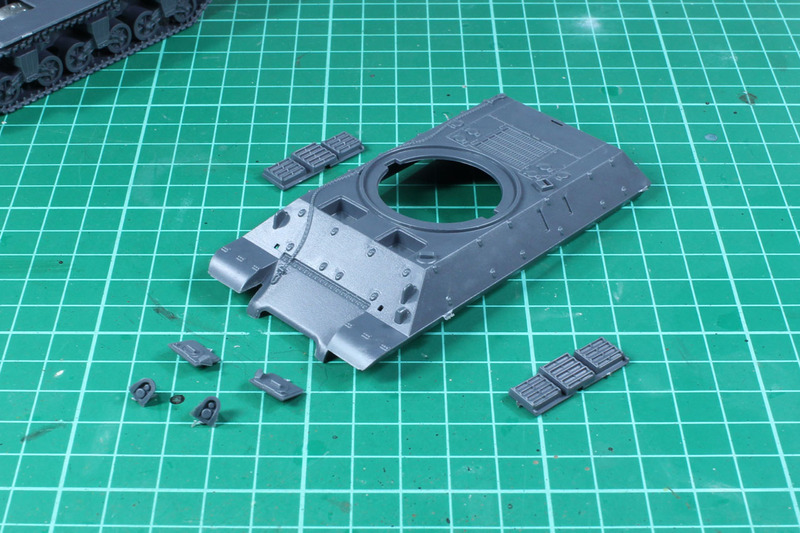 Once again, the instruction does not cover proper details on the way the parts are build in the interiour. 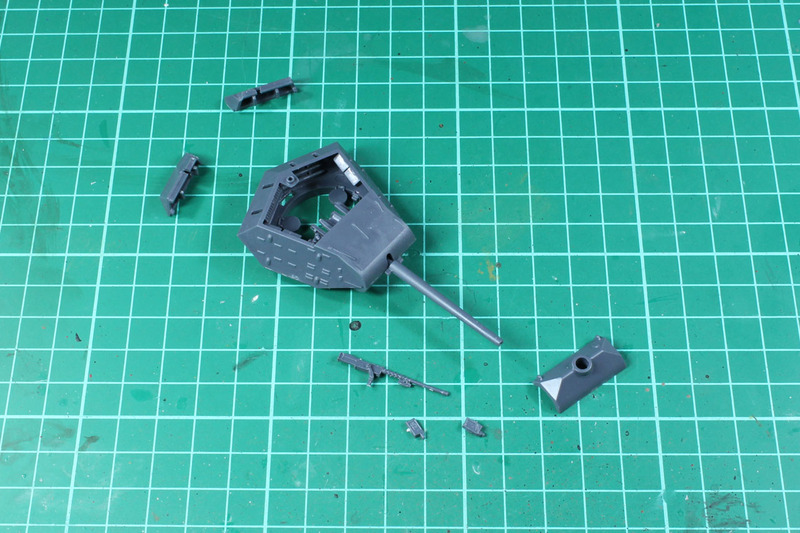 Now just the turret MG is missing and adding the turret to the hull. 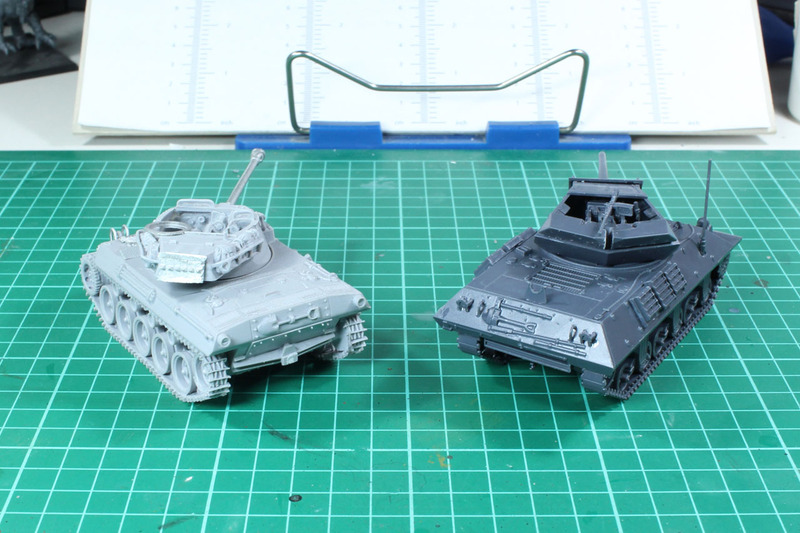 How does the new M10 tank destroyer compete with the other available kits? 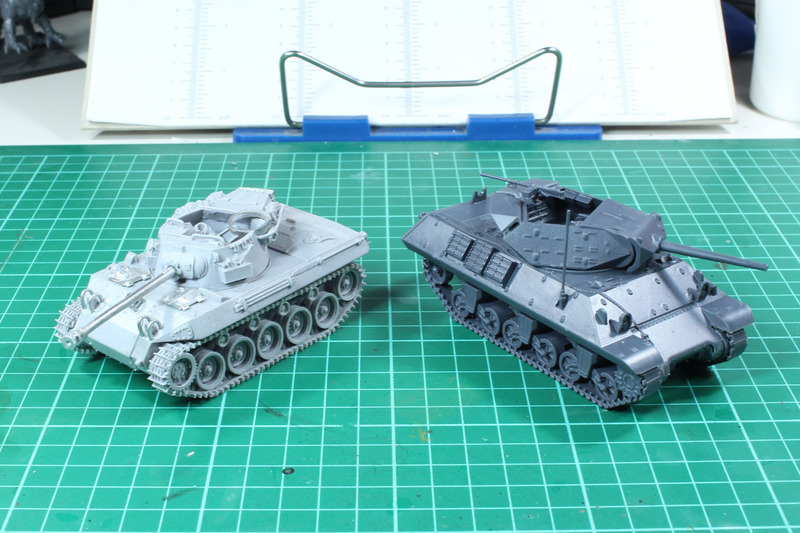 On the left you can see the older resin M10 by Warlord Games and on the right the multi-kit by Rubicon, build as the Achilles. 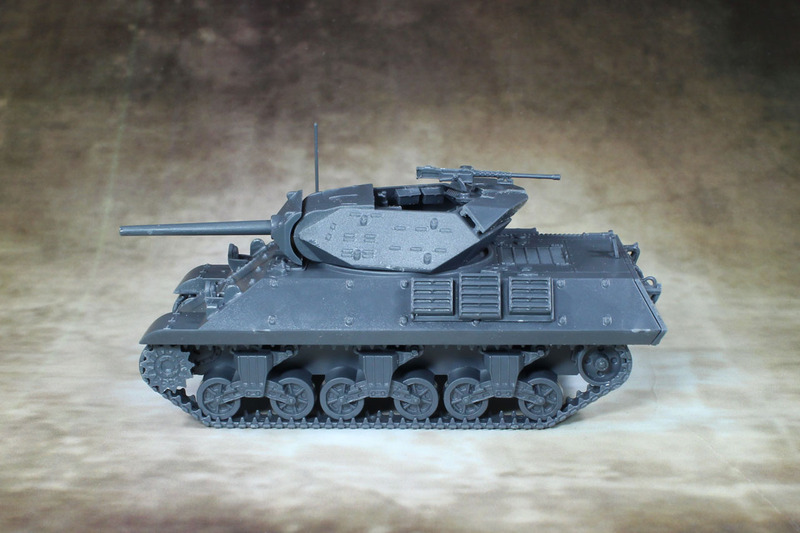 The later released Hellcat is a more mobile, nimbler tank destroyer (shown here as the very cunning resin kit by Warlord Games). To round the set of pictures up, a few shots from around the tank. 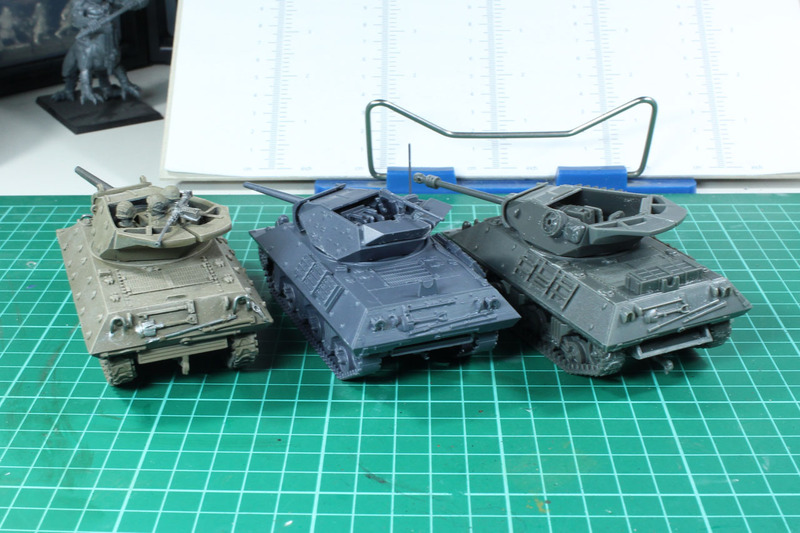 It is a bit of an unsteady topic with the Warlord/Italeri cooperation. 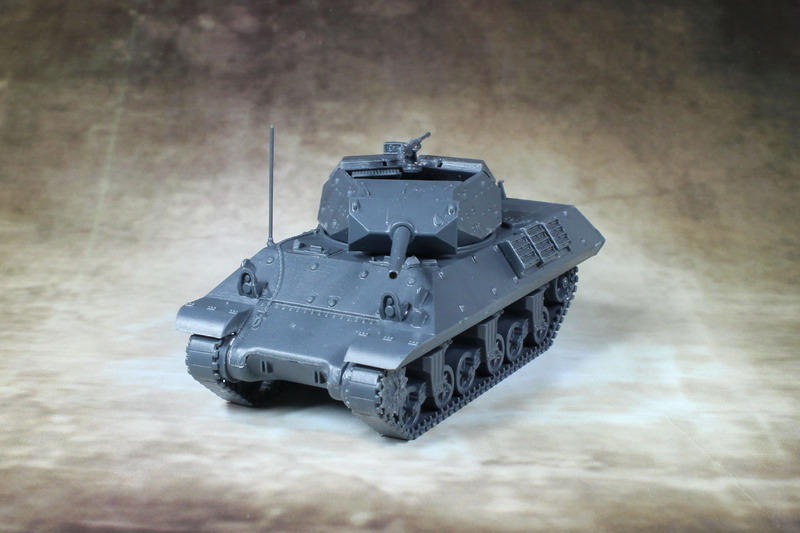 They have great products, like the Churchill or KV1/2, and that shows that they are capable of great kits. 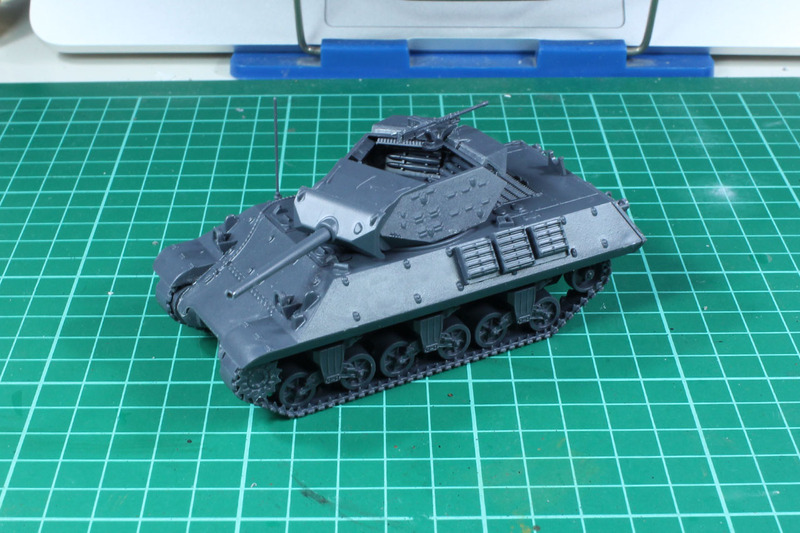 This M10 is a bit of a let down. It is not a bad kit per se. 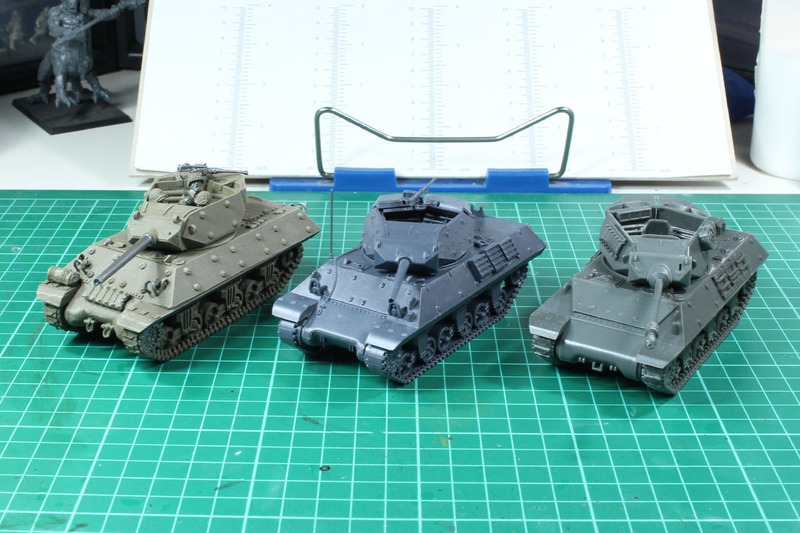 It says M10, you get a M10. 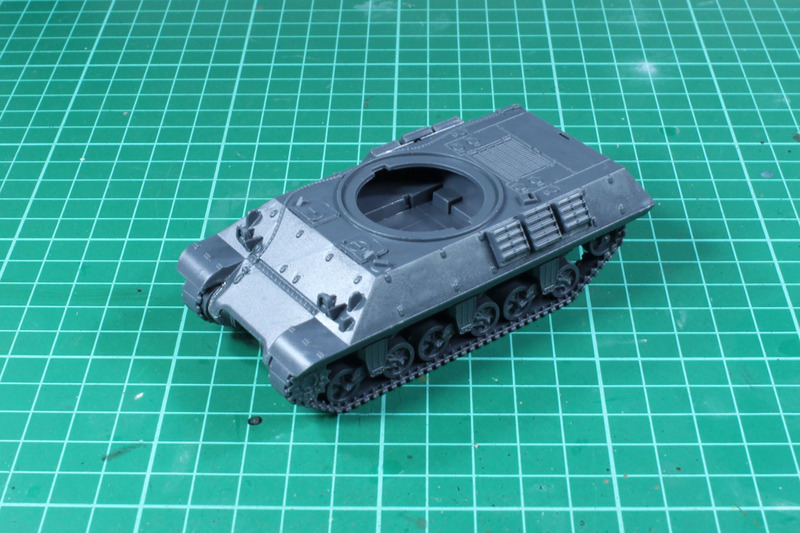 Casting was good, with a bit of flash and mold lines. 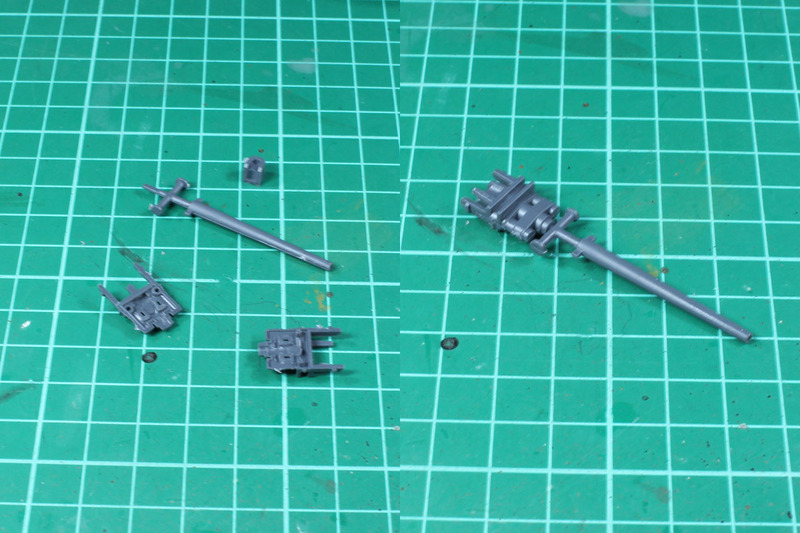 The amount of smaller pieces was rather high compared to other kits from the range and it just lacks a bit of creativity. And that is something, that is difficult to handle if you have competition that is good at it. 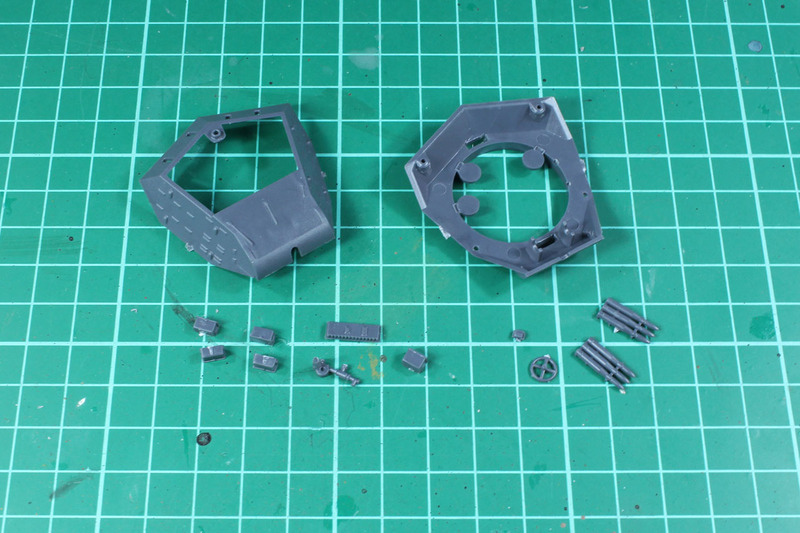 So on top of having no variation, if you count out the crew, you have to get along with rather small parts that aren't properly covered in the instructions. 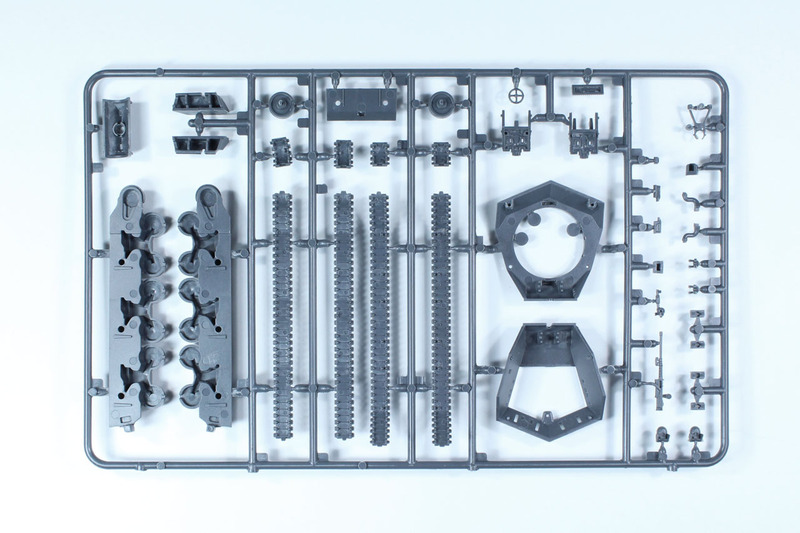 That doesn't make this kit impossible to build, it is just unnecessary difficult and creates the sensation of annoyance. Especially, and I know that they can from their other kits, if they can do better. Excellent review. 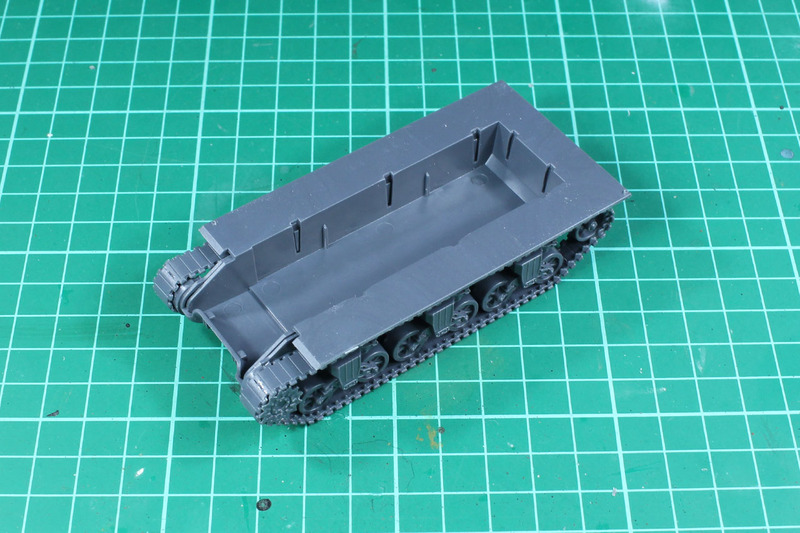 I’m building one right now, and the missing parts (front hooks) were driving me insane.